Event details: A conversation/death cafe event to open up a group led discussion around death and dying. 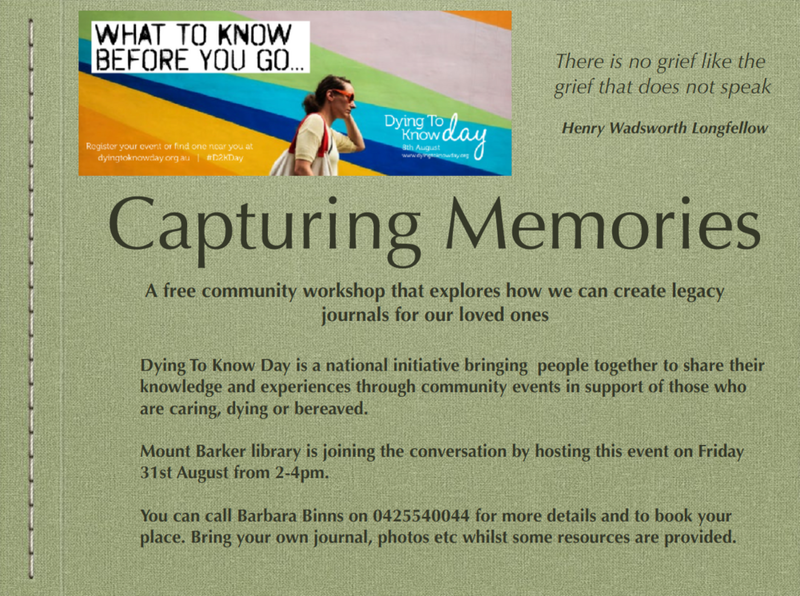 An inclusive and safe space to ask questions, share experiences and explore end of life issues. Event details: If something were to happen to you today, are you practically prepared for someone to manage your affairs and ensure your care preferences are fulfilled? If you, a family member or a friend, are ageing and/or ill, this workshop is for you. If not, coming to a ‘My Choices’ workshop can help. We will talk about how to use the ‘My Choices’ guide to think through support and care preferences as you age and move towards the end of life. We will discuss ways you can become more confident to talk with your family and friends about your preferences. We will consider how to chat about dying and end of life care in just the same way that we speak about all of the other things of life.